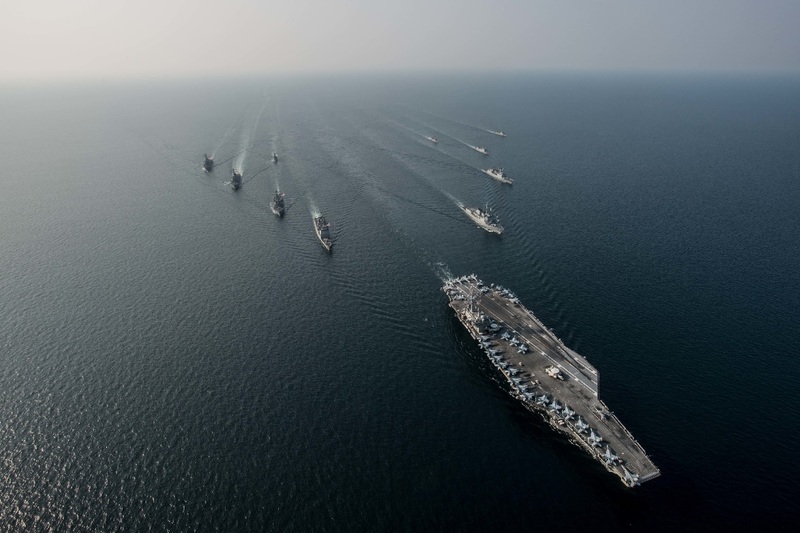 Taken on Oct. 14, 2016 in the waters east of the Korean Peninsula the following impressive images feature USS Ronald Reagan (CVN 76) steaming in formation with ships from Carrier Strike Group Five (CSG 5) and the Republic of Korea Navy (ROKN) during Exercise Invincible Spirit. 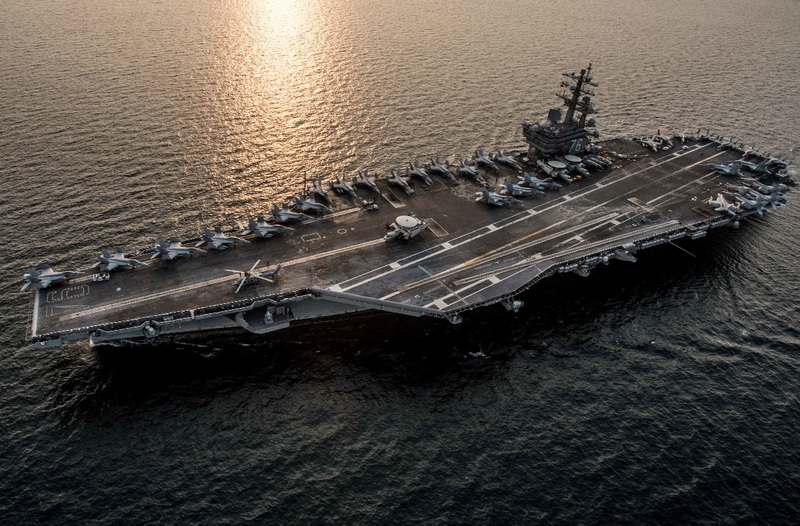 Based at Yokosuka, Japan, the USS Ronald Reagan is the US Navy’s only forward deployed aircraft carrier. Noteworthy, the combat planes belonging to Carrier Air Wing Five (CVW-5) operate from the deck of the aircraft carrier. CVW-5 consists of Strike Fighter Squadron 102 (VFA-102) “Diamondbacks” flying the F/A-18F Super Hornet, VFA-27 “Royal Maces” flying the F/A-18E Super Hornet, VFA-115 “Eagles” flying the F/A-18E Super Hornet, VFA-195 “Dambusters” flying the F/A-18E Super Hornet, Electronic Attack Squadron 141 (VAQ-141) “Shadowhawks” flying the EA-18G Growler, Carrier Airborne Early Warning Squadron 115 (VAW-115) “Liberty Bells” flying the E-2C Hawkeye, Fleet Logistic Support Squadron 30 (VRC-30) “Providers” Detachment 5 flying the C-2 Greyhound, Helicopter Sea Combat Squadron 12 (HSC-12) “Golden Falcons” flying the MH-60S Seahawk and Helicopter Maritime Strike Squadron 77 (HSM-77) “Saberhawks” flying the MH-60R Seahawk. 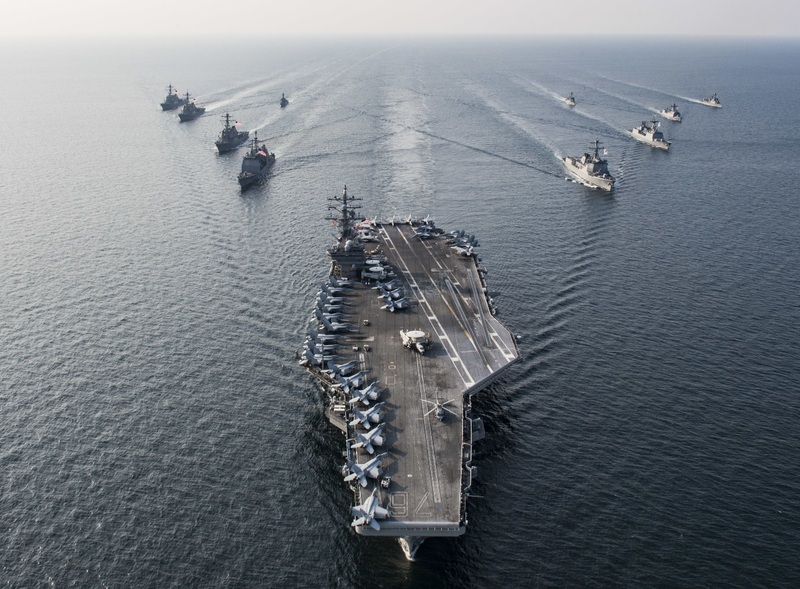 There is no doubt that, along with the tremendous capabilities provided by the wide variety of combat aircraft from CVW-5, the presence of USS Ronald Reagan Carrier Strike Group in the waters surrounding the Korean Peninsula is more than enough to discourage any aggressive behavior from North Korea or from any other hostile nation in the area. 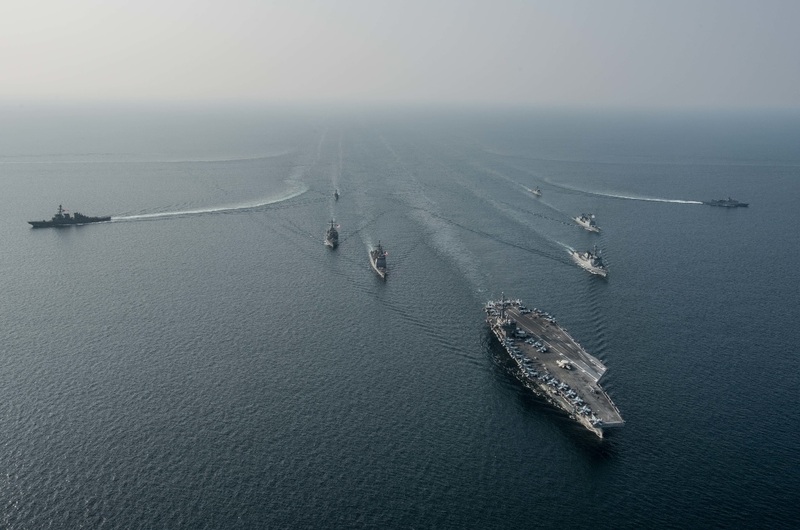 Invincible Spirit is a bilateral exercise conducted with the ROKN in the waters near the Korean Peninsula, consisting of routine operations in support of maritime counter-special operating forces and integrated maritime operations. Ronald Reagan is on patrol with CSG 5 supporting security and stability in the Indo-Asia-Pacific region. Next articleAre fifty Focke-Wulf Fw 190 World War II fighters buried in Turkey?